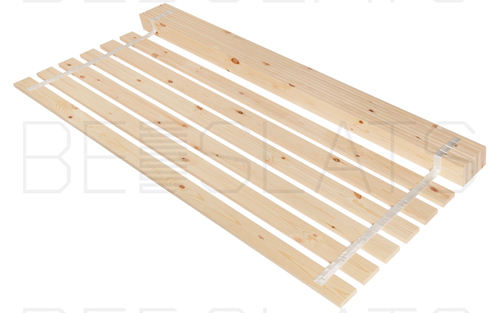 All our Free/ Floor Standing Slatted Bed Bases with Beech Sprung bed Slats are Designed and Manufactured in-house in our Workshop in London, UK. These are minimalistic and Space-Saving; they are designed to be used as a bed frame. This type of floor standing bed bases are very common throughout Europe. All our Floor Standing Bed Bases come with either Solid Beech Square or Cylinder Bed Legs; these can you manufacture to your desired height. We have just launched our new exclusive range of Solid Oak Floor standing Bed bases. This is our Premium range of Floor standing Bed Bases. Our Solid Oak Floor standing Bed Bases are Manufactured using high quality European Oak. These Bed Bases are available with either Solid Oak Square or Solid Oak Cylinder feet. 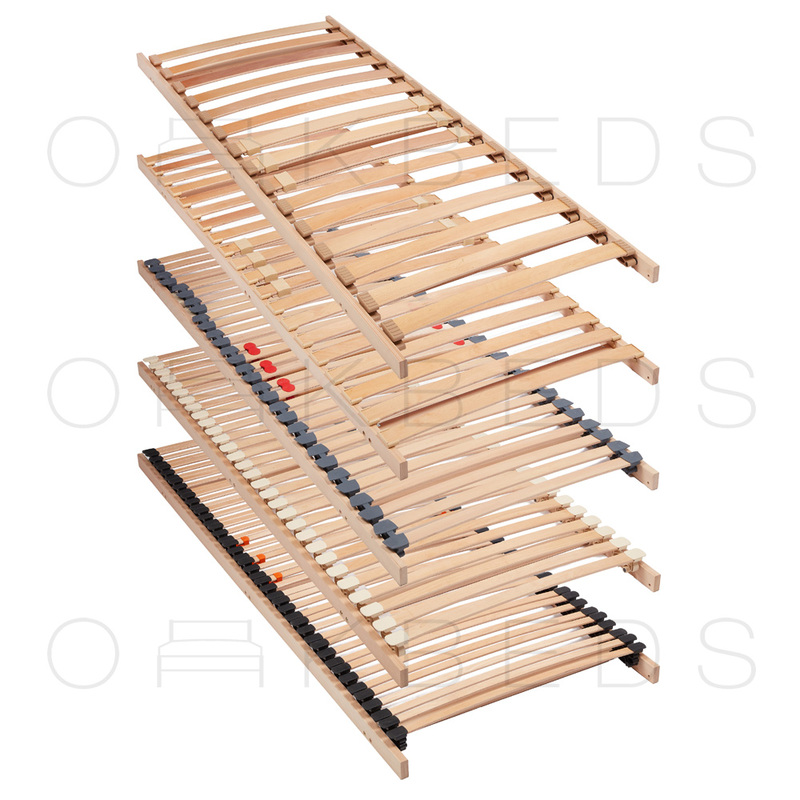 Our bed bases are also connected together via Furniture Connector Bolts, Metal Cross Dowels and Half-Moon Mini Luna Washers which is the strongest and most robust connection. It far exceeds the connecting system used by our competitors. All our Floor Standing Bed Bases are manufactured to order; We have listed standard UK and European bed sizes for your convenience. However this can be made to any to your exact length and width. The bed base will be fully assembled when delivered, You simply need to screw on the Legs to the frame. This will be either in one frame or two frames depending on the size of your bed.